What better way to enjoy a late afternoon watching boats get in line for a lighted parade!!! Everyone is so geared up and most of the parties start at the boat houses on Pine River as the boaters are finishing their last touches on decorating. Then, they head down to the marina and start lining up. Lights are bright and smiles on faces match as they head down the river to give the public a thrilling and exciting parade. The sun drops and the darkness give the brilliant lights a spectacular back drop. People clap and whistle from the shorelines, including the waterfront sidewalks by Pepper Joes. Everyone then gathers on the shoreline right behind Murphy's Inn to have a barbeque along with a bomb fire, music, dancing and drinks of choice. 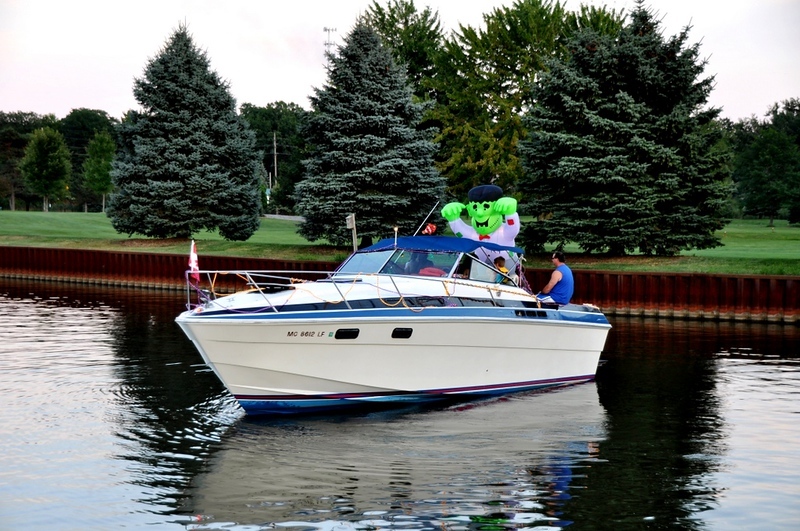 The next 2014 Lighted Boat Parade will be coming up in August. Be sure to show up! Call the Chamber office for additional information.